How many festival concerts have you been to that let you carve out a piece of the setlist? Taking requests from the audience at a show is one thing. Jazzy lounge musicians do it all the time. The legendary Oliver Jones recently filled out his entire second set at the Bassment jazz club with requests from the crowd. The top of his piano was overflowing with suggestions scrawled on scraps of paper and cocktail napkins. Canadian pianist, singer, and composer Laila Biali is putting her own modern twist on this old concept. She’s swapping out cocktail napkins for social media and calling it REQUESTOMATIC. Here’s how it works: Laila and her band have set up a Facebook group for the tour, which you can find here. Join the group, and then leave a comment with the location of the concert you’ll be attending and the name of a tune you’d like to hear jazzified. Any genre or artist is fair game. Biali will tally up the requests and decide which songs to arrange and rewrite for her group to perform at that concert. There are upwards of ten stops on the REQUESTOMATIC tour this summer, and each concert will feature its own unique arrangements. Pretty neat right? “It’s sort of a little love letter to the person who asked for the song.”Some of the requests that she’s rearranged so far range from from Arcade Fire and Trisha Yearwood to Sinead O’Connor and Bobby Vinton. This kind of creative project is right up Biali’s alley (try saying that three times fast). Stepping outside the realm of straight-ahead jazz is stepping right into her comfort zone. Her passion for exploring “the nexus of pop and jazz music” has been winning over audiences from both sides of the genre aisle. She hopes that fans of either type of music will be surprised by and enjoy her custom arrangements. The idea of crowdsourcing repertoire for a concert in this way is novel, insofar as the artist isn’t saying “hey, what do you want to hear” from their existing setlist, or even from the longstanding jazz standard songbook. Biali is taking on an admirable and ambitious workload for her audiences and letting them play a substantial role in the performance. All the stop on this summer’s REQUESTOMATIC tour. Challenging herself to write and arrange the audience’s suggestions keeps the tour fresh for not only concert-goers, but also for Biali and her band. It casts a unique light on every concert, personalizing the show for whatever city and whatever venue its in. Head over to the REQUESTOMATIC Facebook page and start making requests. There’s none there for the Saskatoon leg of the tour, so there’s a good chance your tune could make the cut! The final date for suggestions is June 17. 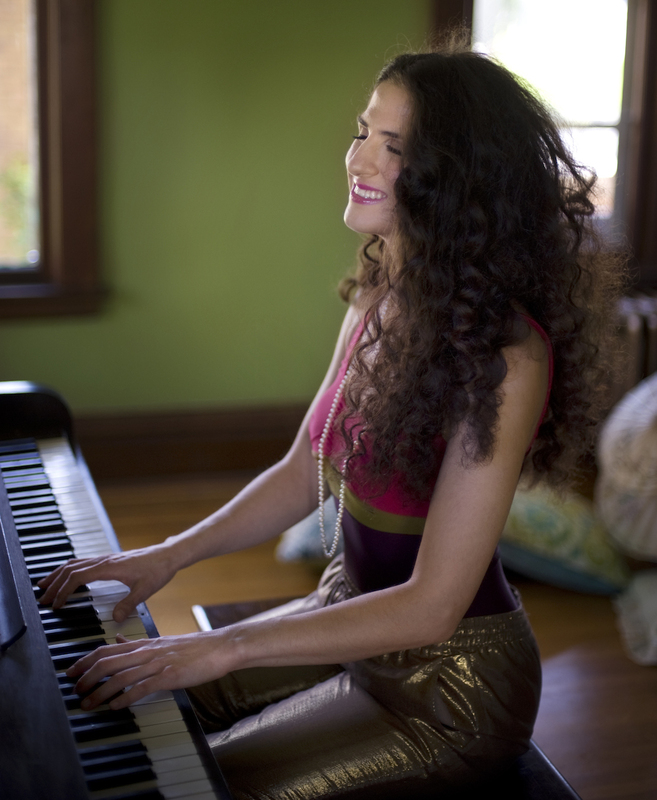 Laila Biali is bring the REQUESTOMATIC tour to Saskatoon for the Saskatchewan Jazz Festival. Backed up by Phil Dwyer, George Koller & Larnell Lewis, she’ll be performing two shows at the Bassment on Saturday, June 21 at 7:00 and 9:30. Get your tickets here.